Julian, his bare-headed and cuirassed bust right. R dot M dot P in Exergue. 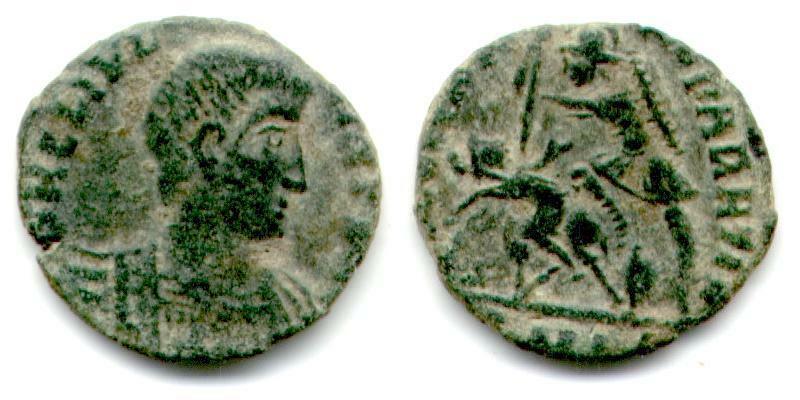 Sear, David R., "Roman Coins and their Values" (RCV 4th Revised Edition), p343, nr 4063, variety from Rome mint. Thanks to Stephen Knapp for the identification in RIC.